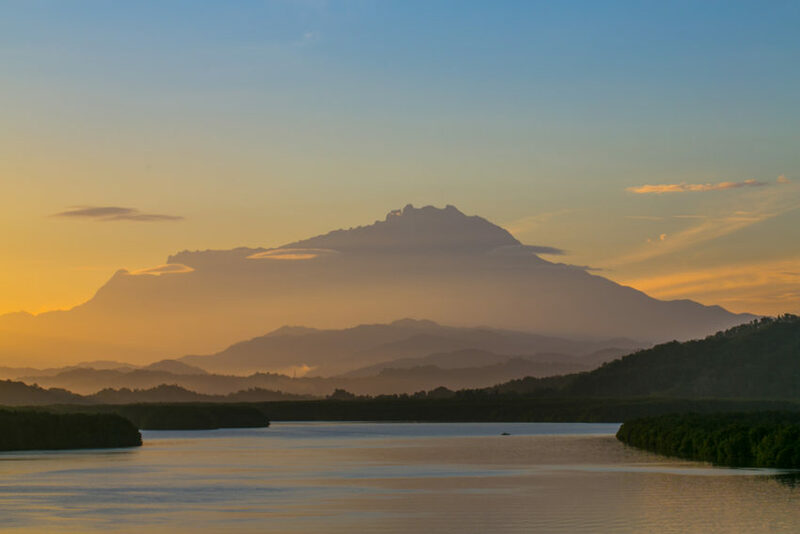 On his travels around the Sabah travel the Malaysian state on the island of Borneo, Mark Bibby Jackson encounters a wealth of wildlife in its natural environment and becomes re-acquainted with the Bornean orangutan. Back then I was exhausted after climbing the Pinnacles in neighbouring Sarawak. A pointless exercise that had taken five hours to climb and even longer to descend, a feat that my ex and myself completed on our own as our guide had complained of a stomach complaint. Reaching the summit, we discovered that dramatic as the limestone needles look from the air, when surrounded by them they are far less impressive and distinctly lacking in any vista. On the way down, we bumped into our guide, who had risen like Lazarus afraid that his charges had become lost in the mists of the rainforest and wandered off track. Fortunately, we had not. So, by the time we reached Mount Kinabalu a few days later we were weary of another fruitless trek and decided instead to feast ourselves upon the spectacular views. Despite tales of spitting cobras and green vipers I am pleased to discover that the most unusual creature we encounter is a lantern bug. Read the full story at Mark Bibby Jackson	page.